We'll charge a "one-off" deposit on each cylinder the first time you order. After that, if you have a cylinder that you wish to exchange please go to My Cylinders and choose the item you wish to exchange. No additional deposit will be required. You will pay only for the gas you use. The cylinder deposit is charged as the steel cylinder remains the property of Ryval Gas for the duration of its use. If you return a cylinder without requesting a new one in the same transaction, we will refund a portion of your deposit fee in line with the length of time the cylinder has been in your possession. Nitrogen gas is extensively used throughout industry. Its main uses include purging, blanketing, laser cutting and even motorsports for filling tyres. Ryval Gas Nitrogen is industrial grade and oxygen free. Please note that industrial nitrogen is not suitable for food applications. 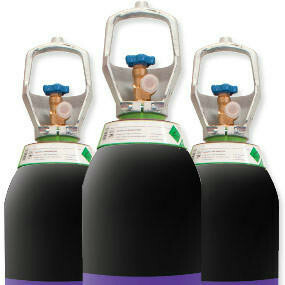 Our Nitrogen gas cylinders are completely RENT FREE.